June 18 (Saturday, all day) Juneteenth. A community-wide tradition commemorating the ending of slavery in the United States. 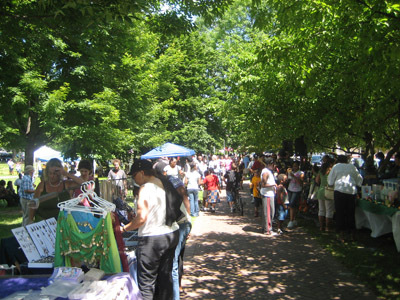 Visit http://www.juneteenthoberlin.com for a full schedule of events during the week and weekend, including "An Afternoon with Edmonia," author receptions, a tour and memorial service at Westwood Cemetery, the Juneteenth Lock-In at the library, a concert in the park, and festival on Tappan Square! The Oberlin Heritage Center will participate along with many other area organizations hosting booths along Tappan Square on Saturday beginning at 10:00 a.m.